In the morning hours of April 15, 1912, the Titanic found the bottom of the ocean. The “unsinkable” was sunk. But, a ship that is “unsinkable”--unless it hits the wrong iceberg--is NOT unsinkable. And a sound financial plan crafted to take you into your retirement years full of peace and security—UNLESS it hits the wrong unexpected, large iceberg of expenses—is not sound. Get a plan-One of the myths floating about is that long-term care products are so complicated the professionals don’t understand them, so they’re best avoided altogether. (c) with benefits to be paid out for at least 3 years. What specific insurance product you should choose is outside of the scope of this article. But THAT your family has a plan and funding mechanism for future long-term care expenses is what we believe is most important. Insure a large portion of the potential need-We don’t want you over-insuring for long-term care, or spending an arm and a leg on premiums so we recommend insuring about half of your potential claim. Specifically, the prominent nursing homes in Baton Rouge cost around $5,000 to $6,000 per month. So, if you get a policy that provides funding for half of this potential expense you would need to secure about $3,000 in monthly benefit. The average long-term care claim occurs around age 80. What this means is your $3,000 benefit needs to be growing so when you actually need your $3,000 it has adjusted with inflation to provide about half of your long-term care expenses many years from now. Keep in mind historically cost of living has doubled about every 22 years in the U.S. and long-term care expenses have been increasing even faster. Lastly, claims generally last 3 years and move from additional home health expenses, to assisted living costs before progressing to a nursing home, so your policy or plan needs to accommodate this progression. 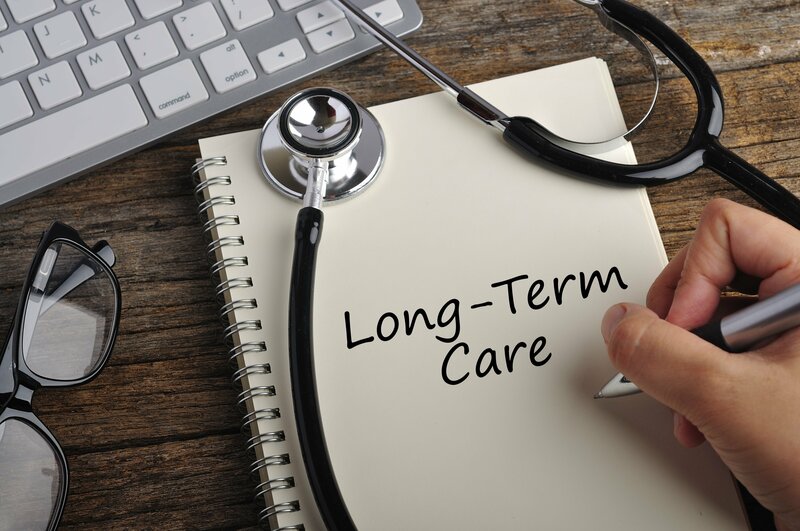 What is Long-Term Care Good For? Long-Term Care provides a tax-free benefit at such time as you qualify for a claim under your policy. A doctor needs to confirm that you have lost 2 out of 6 of your activities of daily living (ADL’s). These include bathing, dressing, transferring, eating, toileting, and walking around. The bottom line, it’s the help you could need that no one wants to admit they are potentially going to need. Early in my career I was at a conference and a top advisor for a major insurance firm was asked to explain what long-term care covers. He said, “Long-Term Care covers these five words no spouse ever wants to hear, ‘I’m finished, come wipe me.’” That’s what it’s for. 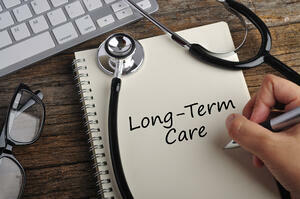 When is an appropriate time to apply for long-term care insurance? Between age 40 and 60 is the ideal time to put a plan in place. The coverage is harder to get after age 60 and is becoming increasingly difficult to get at all. Insurance companies have been hammered because, unlike other forms of insurance, people continue paying their long-term care premiums AND GO ON CLAIM. You’ve probably read in the news how many companies have jumped out of the long-term care industry. This tells us a couple things: 1. The coverage is probably better for the clients than the companies and 2. You need to work with a financial professional who is familiar with the financial health of the company they are recommending. Please do the next right thing and work with your financial planner to be sure your family has a well-funded plan for potential long-term care expenses.